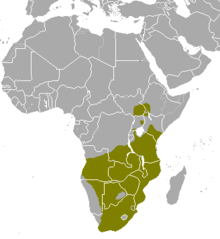 ↑ 1.0 1.1 IUCN SSC Antelope Specialist Group (2008). "Tragelaphus oryx". IUCN Red List of Threatened Species. Version 2011.1. International Union for Conservation of Nature. สืบค้นเมื่อ 21 November 2011. ↑ c Grubb, P. (2005). "Order Artiodactyla". In Wilson, D. E.; Reeder, D. M. Mammal Species of the World (3rd ed.). Johns Hopkins University Press. p. 696–7. ISBN 978-0-8018-8221-0. หน้านี้แก้ไขล่าสุดเมื่อวันที่ 30 มีนาคม 2559 เวลา 15:56 น.